The pumpkin stamp is from Paper Source and the sentiment is an older one from Amuse Studio. To make the tag, stamp the pumpkin and sentiment with brown ink on white card stock. (I used Memento Rich Cocoa) Color the pumpkin with Copic markers and punch with a circle punch (here’s a great set of circle dies!). Lightly sponge with brown ink. 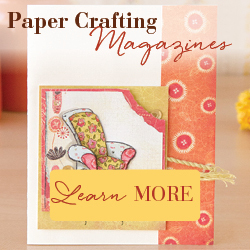 Punch a scalloped circle from kraft card stock and lightly sponge the edges with brown ink (and here’s a great set of scalloped circle dies!). Attach the stamped piece to the scalloped circle. And that’s it! I attached the tag to a little bag filled with treats using a tiny clothespin. I love how fun this turned out! You could also use a jack-o-lantern or leaf stamp. You can find all sorts of little treat bags and tiny clothespins in your local craft store. This entry was posted in Fall, Gifts, Stamping, Tags, Uncategorized. Bookmark the permalink.